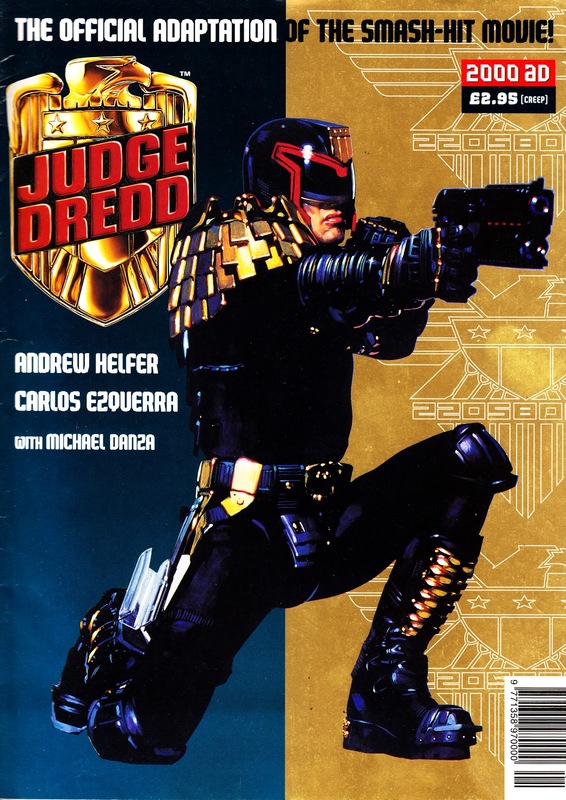 From 1995: The British edition (DC published the American printing as part of its ill-fated licensing deal to publish new JD comics stateside) of the JUDGE DREDD MOVIE ADAPTATION. This was a one-shot spin-off from the 2000AD group and appeared alongside movie-themed editions of the regular runs and opportunist reboots of the two ongoing archive compilation mags. I don't think its a bad little movie, despite its obvious flaws, and was a reasonable attempt at bringing the JD universe to the big screen. The adaptation, in turn, does a good job of bringing the movie back to comics. The movie version of JD also appeared in the new LAWMAN OF THE FUTURE fortnightly and a one-shot. An alternative comic strip adaptation of the film by British Dredd stalwarts John Wagner and Ron Smith was serialised in the News of the World Sunday magazine at the same time. I don't know if that's ever been collected. I'm fairly sure this has never been included in any reprint volume. 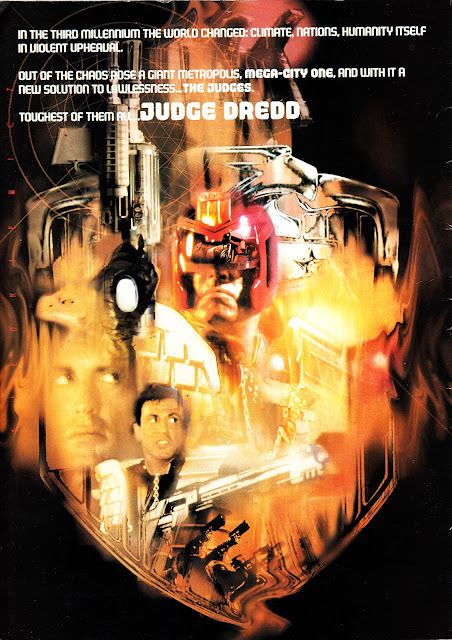 The reviews for the stallone version were extremely hostile upon its release but its aged very well and compares favourably with the more recent DREDD starring karl urban. Its not really a case of deciding which is better , they are both different takes on the same character.